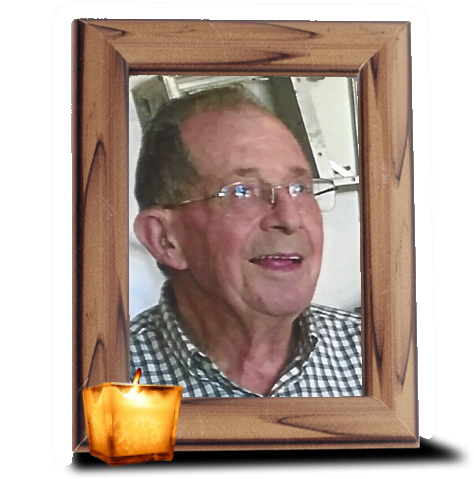 Obituary for Harold F. Massart | Wiesner & Massart, Inc.
Harold F. Massart, 87, of Forestville, WI, passed away on November 20, 2018. Harold was born December 29, 1930 to the late John and Lucy (Barbiaux) Massart. He married Delores Charles in Brussels on September 27, 1950. Together they worked on the family farm and he worked as a milk hauler for many years. Harold enjoyed spending time with the family and Buddy the dog. He was a jokester who also enjoyed buying and selling cars, kicking tires, square dancing, snowmobiling and fishing. Harold is survived by his wife of 68 years, Delores; his children, Gary (Kathy) Massart, Ronald (Leah Ann) Massart, Mike (Ineke) Massart; grandchildren, Jodi, Alysia, Ashley (special friend Chad), Missy, Tiffany (Scott), Autumn (James), Brian (Kelsey), Stef, Lex, and Caroline; great-grandchildren, Christopher, Jason, Aubrey and Caiden. He is also survived by sisters-in-law, brother-in-law, and nieces and nephews. He was preceded in death by his parents, an infant son, father and mother-in-law, a brother, as well as brothers-and sisters-in-law. A private family service took place on Friday at Wiesner & Massart Funeral Home and Entombment followed at the Shrine of the Good Shepherd Mausoleum. Online condolence messages may be shared at www.wiesnermassart.com . A special thank you to Katie Lukes, Rob Anderson, Bellin Health and Unity Hospice.